After saying that two new songs would arrive from Lil Uzi Vert at the beginning of this week, DJ Drama was a little late in honoring his promise but the official releases of "That's A Rack" and "Sanguine Paradise" were granted yesterday night. Without much promotion, the two tracks quickly became the most buzzworthy musical releases of the day with people rushing over to see what all the fuss was about. After "Free Uzi" randomly appeared on the internet last week, the Philadelphia rapper appeared poised to take over the industry once again. While the initial reactions to "That's A Rack" and "Sanguine Paradise" are not all positive, fans are generally excited to be listening to new vibes from the superstar. The last twelve months have not been easy for Lil Uzi Vert. 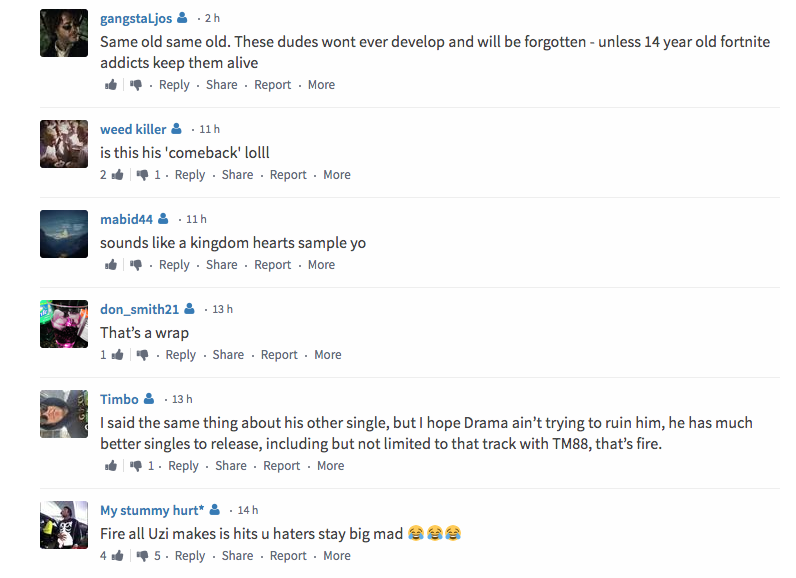 He has been vocal about his issues with both DJ Drama and Don Cannon, implying that Generation Now and Atlantic were stopping his flow of steady releases. 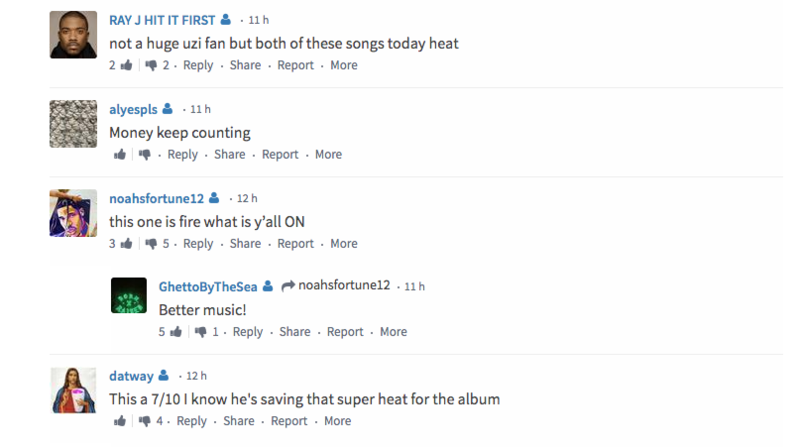 The official releases of the new songs may have just been a way to profit off of them after diehard Uzi fans noted that they were both leaked last week but they still mark an official return for the artist, teasing the imminent arrival of the highly-anticipated Eternal Atake. From the jump, fans have been more appreciative of "Sanguine Paradise," which seemingly has more replay value in the days following the double release. That's not to say that "That's A Rack" isn't dope, though. 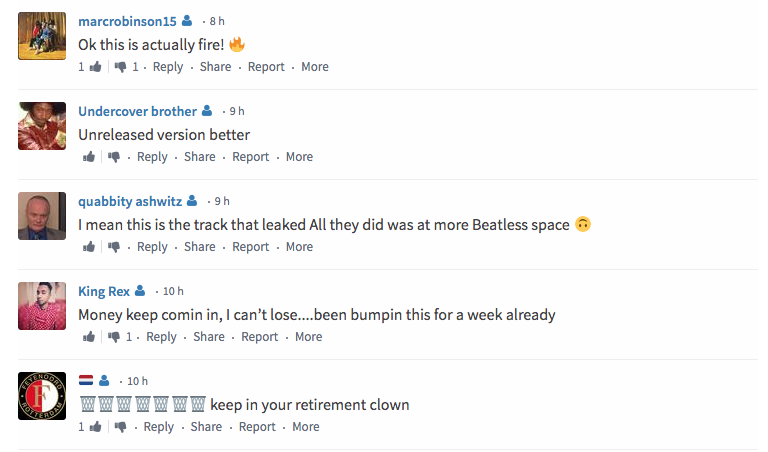 Let us know what you thought of both songs and check out a compilation of reactions from both HNHH commenters and Twitter below.